Destiny's Child are set to reunite. Former member Michelle Williams insists she and her two ex-bandmates, Beyonce Knowles and Kelly Rowland, are still in regular contact and are open to working together again in the future. Michelle said: "Getting back together certainly hasn't been ruled out, although we don't talk about business when we are hanging out - it's just girlie gossip. We are all busy with solo ventures, but who knows what the future holds?" The three girls called time on the band in the summer of 2005 to concentrate on their solo careers. 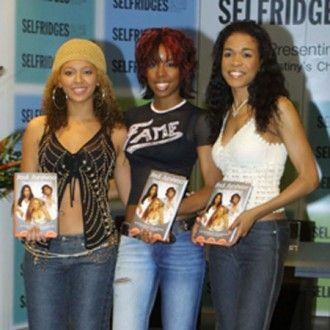 The trio released a statement saying: "We have been working together as Destiny's Child since we were nine, and touring together since we were 14. After all these wonderful years working together, we realised that now is the time to pursue our personal goals and solo efforts in earnest... No matter what happens, we will always love each other as friends and sisters and will always support each other as artists." The group briefly reunited on stage in September 2007 during the Los Angeles leg of Beyonce's 'The Beyonce Experience' tour. Kelly and Michelle joined the 'Crazy In Love' singer for a rendition of hit single 'Survivor'.